Rote Island is a dry monsoon island with an area of 1,200 square kilometres in eastern Indonesia. It is around 12 kilometres off the coast of Timor, and about 500 kilometres northwest of Australia. The island is also the site where a bird species new to science, the Rote Myzomela Myzomela irianawidodoae, was recently discovered, and the findings were published in the journal Treubiaon 31 December 2017. 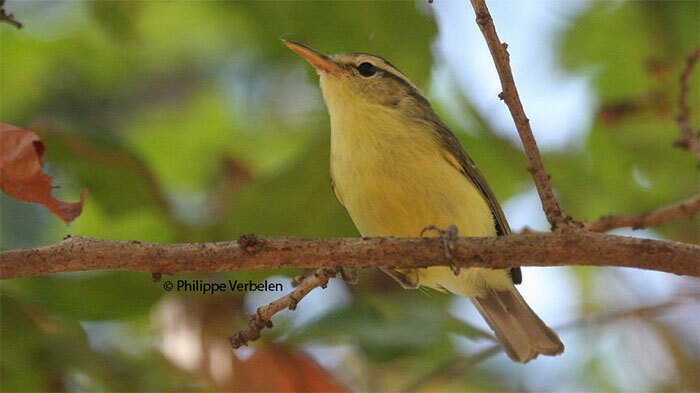 The presence of a leaf-warbler of unknown identity on Rote was first noted in December 2004 by Dr. Colin Trainor from Charles Darwin University, Australia. In July 2009, Mr Philippe Verbelen and Ms Veerle Dossche, two Belgian birdwatchers, made detailed observations and obtained a series of photographs of the bird. "The new species is part of a large group of Asian warblers but is unique among them due to its unusually long bill," said Dr. Nathaniel Ng, who was involved in the description of the bird during his Ph.D. candidature at the Department of Biological Sciences at the NUS Faculty of Science. "This work would not have been possible without the partnership with the Indonesian Institute of Science, and in particular, with Dr. Dewi Prawiradilaga," said Assistant Professor Frank Rheindt, the leader of the study and Head of the AEL under the NUS Department of Biological Sciences.